Lung Clinic Center for Sleep Medicine features state-of-the-art clinical evaluation, diagnosis and personalized treatment services to patients with health problems related to lungs, breathing and sleep. Founded in 1990 and member of the American Academy of Sleep Medicine, Lung Clinic Center for Sleep Medicine is staffed with outstanding leading professionals dedicated to improve wellbeing by combining the latest in knowledge, technological advances and individualized treatment. Quality care is obtained through a comprehensive approach to patient’s needs by offering a variety of services. Lung Clinic Center for Sleep Medicine was established in Southern Oregon to help patients and is committed to continue its services with the highest level of care. 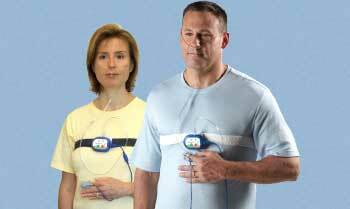 A home sleep study (HST) is a sleep study used for the diagnosis and to guide treatment of obstructive sleep apnea. Carlos E. Marchini, M.D., F.C.C.P., F.A.B.S.M.